Step 1: LIKE the iDevo Facebook Page, then INVITE your friends to like the iDevo Facebook page as well. 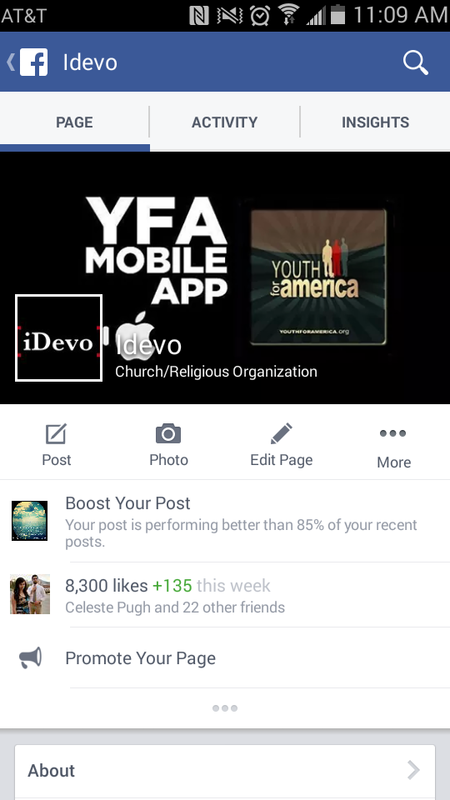 Step 3: SHARE your screenshot image to the YFA Facebook Page or on the YFA Mobile App (Under the app tab, "iDevo Challenge Pictures") by the start of the second morning service. GET THE MOST FRIENDS TO LIKE iDEVO & YOU WIN!!!!! WIN $100 Visa Gift Cards, "Life I Now Live" T-Shirts, YFA gear and more. Check out the examples below for the screen shot we are after.